Saturdays, 10:30 - 11:30 AM AGES 13+ Instructor: Vincent Lotesto Fee: $120 Nonmembers/$102.00 Members (save 15%)/$135 Late Enrollment(Refunds will not be accepted within 48 hrs of the start of this program. $10 administration fee is charged for all refunds requests before 48 hrs of the start of this program or to switch to another class. $15 late fee will be applied to registrations made after the first class. For questions call 630-834-0202 or email education@elmhurstartmuseum.org) Love to draw? Crazy about anime? From doodles to graphic novels, charge-up your self-expression and discover new techniques with Drawing & Cartooning! Teens and adults will have the opportunity to experiment with character design and sequential narratives while learning about: line, shading, perspective, texture and color. Traditional media such as pencil, pen, crayon, marker and the like will be used to create your own cartoons. Materials: Students are asked to provide a sketchbook, pencils, pen and colored pencils. 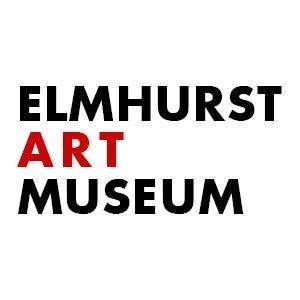 *Note: No class Mar 30 for Spring Break Are you a Member?Contact membership@elmhurstartmuseum.org or call 630-834-0202 to receive your Member discount of 15% at checkout.